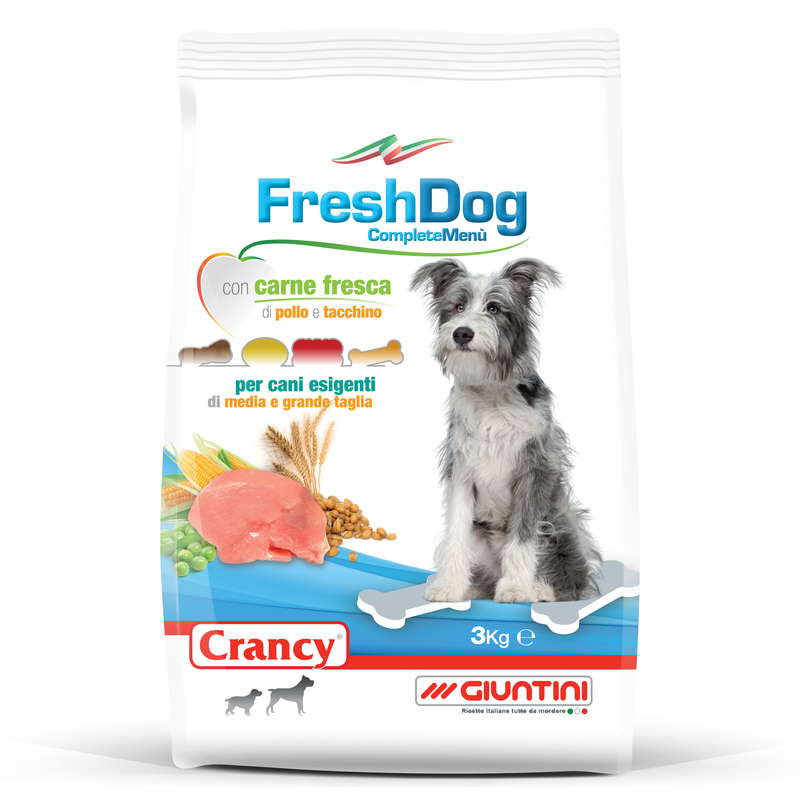 FreshDog Complete Menu has been developed by veterinary nutritionists to meet the needs of medium and large breed dogs. 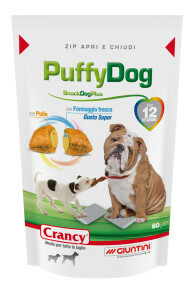 Rich in fresh chicken and turkey meat with vitamins and minerals. 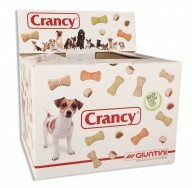 Crancy FreshDog Regular at will! 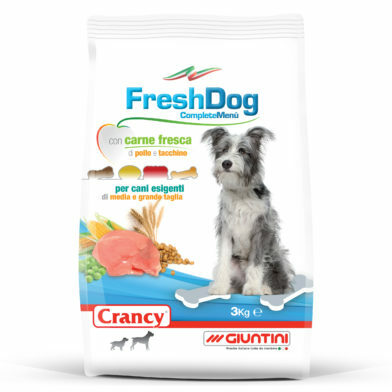 Cereals, Meat and animal derivatives (fresh chicken and turkey meat 4% in bone shaped croquettes), Derivatives of vegetable origin, Vegetables, Oils and fats, Seeds, Vegetable protein extracts, Minerals. Crude protein: 23%; Crude oils and fats: 9%; Crude fibres: 3,4%; Crude ash: 8%; Sodium: 0,2%. Vitamin A: 10.000 I.U./kg; Vitamin D3: 900 I.U./kg; Vitamin E: 120 mg/kg; E1 Iron: 7 mg/kg; E2 Iodine: 0,7 mg/kg; E4 Copper: 1,5 mg/kg; E5 Manganese: 7 mg/kg; E6 Zinc: 21 mg/kg; E8 Selenium: 0,01 mg/kg.